Rahul Dravid has called for India to follow a set domestic calendar within which they would play their annual quota of home international games to secure the future of Test cricket. 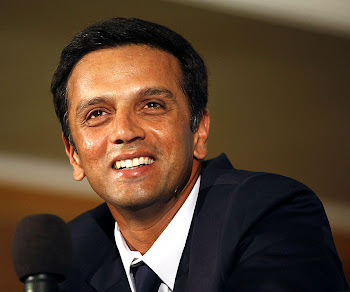 Speaking on Cricinfo's fortnightly discussion show Time Out, Dravid suggested India use its clout in the world game to regularise its calendar, which other cricket boards would need to accommodate for the good of cricket, said the three-Test format was the ideal standard for international cricket, and emphasized the importance of competitive pitches to make Test cricket more interesting. India's international schedule has been characterised by ad-hoc arrangements, including the recently-concluded Test series against South Africa. The introduction of a set domestic calendar which included fixed dates and venues, Dravid said, could help draw more crowds to stadiums, particularly in Tests, which have struggled to retain their popularity in India. "We must have our own domestic calendar, or six or seven months that are ideal for us to play cricket. And play our quota of six Tests and a certain set number of ODIs during that period, and then work around that," he said. "If we do that, at least during those six or seven months, everyone knows there's going to be cricket in these venues. That's very important. "Everyone around the world needs to recognize that Test cricket needs to thrive in India. Everyone knows now that it is important Test cricket succeeds in India for it to succeed worldwide as well," he said. "People have to come to this realization in some other countries and recognize that India now needs to have a set international calendar for the benefit of the world game really." Dravid felt the format remained highly sought-after by India's current crop of young cricketers like Suresh Raina and Rohit Sharma, though he expressed worry over the uncertain priorities of the country's next generation of cricketers. "I think they say the right thing. They talk the talk, there's no doubt about it. But there is no all-consuming desperation for them like it was for myself or cricketers of my generation to do well in Test cricket. First-class and Test cricket were the only cricket we had. Today there are more opportunities. "I'm not even worried about the Rainas and the Rohit Sharmas today; they've grown up in an era when Test cricket was important. But I wonder what a 14-15-16-year old today is thinking. I wonder what's going to happen five years ahead and that's why it's important to play more Test matches." Dravid agreed Test cricket was received differently at various cities across India, and said the financial viability of state associations had much to do with the selection of venues in the country. India's series-leveling victory against South Africa in Kolkata was witnessed by 35,000 fans on the final day, a contrast to a virtual no-show in the first Test in Nagpur. "There is a huge buzz in certain cities," he said. "Maybe it all comes down to commerce and finally, the viability of things. Every state association is trying to use that Test match or ODI to run its whole program for a year, or a couple of years sometimes. "But I wonder sometimes whether it's actually viable for some of these associations and smaller venues to hold Test matches, and whether they need to be given the option themselves. But I guess spectators these days don't really make up a large part of the revenue, so maybe that's a factor." Dravid also spoke in favour of holding three Tests in an international series, as opposed to just two against South Africa or the planned series against Australia later in the year, which fall outside the framework of India's domestic calendar. "Three Test matches is ideal," he said. "In my whole career now, I've played only one Test series [against West Indies in 1997] which has included five Tests and in the olden days that [five Tests] was the norm. In this case, with the talk of the Australian series coming up, these have come in outside of the calendar." Most Tests played in 2010 have yielded results and proved competitive. Dravid singled out the preparation of sporting pitches with bounce as "critical" in ensuring the trend continued. "Going ahead, if you want Test cricket to survive, you've got to ensure that they are played on good cricket wickets that give everyone a chance," he said. "Bounce is a critical factor. If you have wickets that have bounce, it allows people to play shots as we've seen with [Virender] Sehwag, Sachin [Tendulkar] and [VVS] Laxman in the last series, and even with [Hashim] Amla. You have people who play shots and play positively, but it also gives the fast bowlers and the spinners enough later on to keep them all interested in the game."